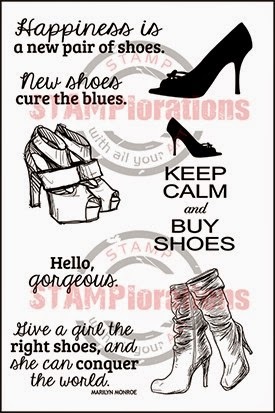 Love your background with the stamped shoes! Your card is so fun. Love all the splatter of the bright colors. Apparently I need Brusho lessons - I can't get mine to look as good! Perfect addition with the boots! Beautiful background...brilliant splatter technique...Awesome card! 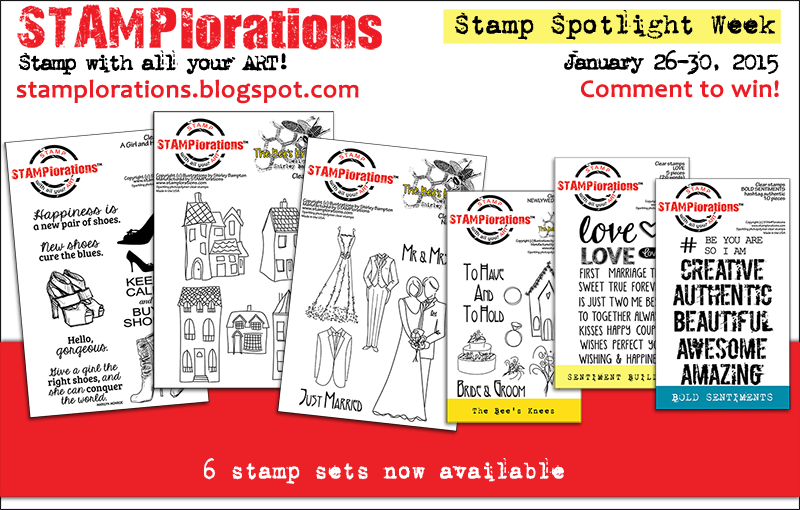 Love those splatter mists with brusho and how you paired it with fabulous stamp, so dreamy!!! I am not familiar with Brushos but have a feeling I need to get to know them!! 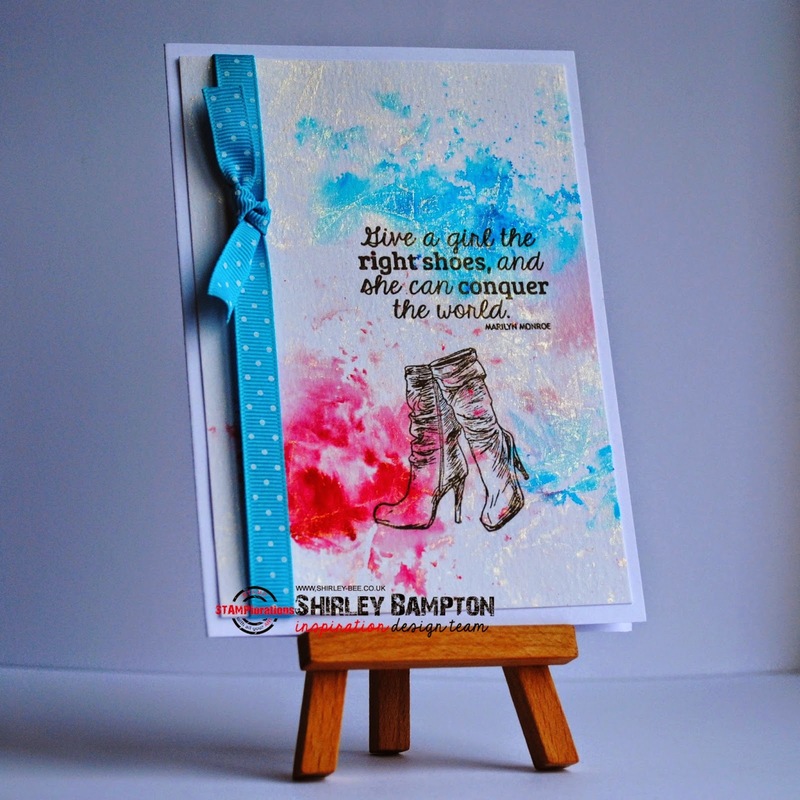 Gorgeous card, Shirley! I´m a fan of These Background !!! Fabulous card, just love the background. Joining with the others in applauding your gorgeous background...and the image choice...oh my! WANT! Fabulous background, Shirley - it really makes those fab boots pop! Love that background - so cool looking and such a great backdrop for those shoes and sentiment!! Very nicely done and I hope you have a nice weekend!! !